We are so excited to welcome Erin to the Birth Boot Camp childbirth educator family! She is mom with lots of different birth experiences, including several vaginal births after two c-sections! VBAC really is amazing. 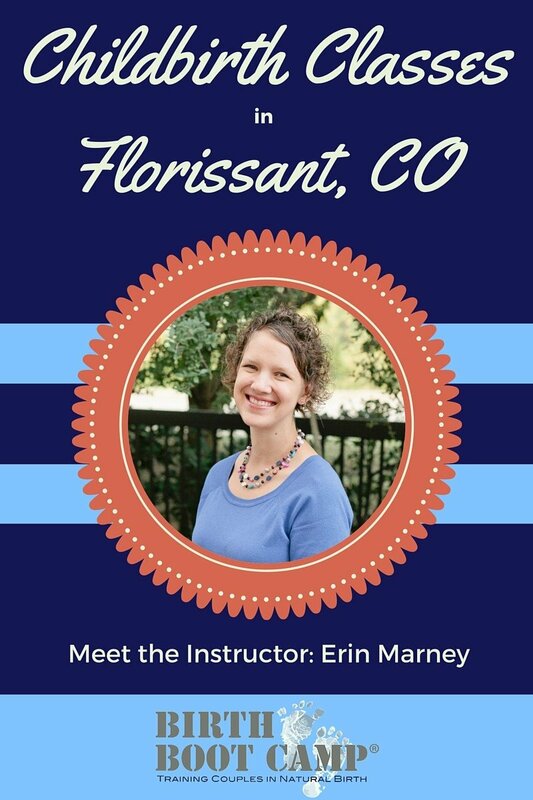 We are excited to have her teaching childbirth classes in Florissant, CO and we know you will love her too! First, could you introduce yourself? Tell us a little bit about your own birth experiences and how they influenced your desire to teach birth classes. My name is Erin and I have been married to my high school sweetheart, Joseph, since 2002. We both grew up with several siblings and wanted to have a larger family, so we tried to get pregnant right after we got married ­ and it worked! Initially, I looked into natural childbirth because I was afraid of needles. I figured if I wasn’t going to get an epidural, I should be prepared! My husband and I ended up learning so much more, things we had never considered or thought to ask. We felt excited and ready for a natural birth when we found out at 36 weeks our little one was breech. We did everything we could to get her to turn, but the baby was quite comfortable where she was, so she was born via cesarean. I had planned on having a VBAC (Vaginal Birth After Cesarean) with my second baby, but had medical complications, so my first son was born via cesarean as well, 19 months after his big sister. When I got pregnant with my third, I still hoped for a VBAC but mentally prepared myself in case I ended up delivering by cesarean again. As it turned out, I had a supportive care provider who encouraged my VBA2C. I had to be induced for the same complication I had with my second and I got an epidural after 40+ hours of labor. I was able to rest and when I woke up, I was ready to push! Having my son placed in my arms and kissing him after he was born was a transformative experience for me. My fourth pregnancy was low risk and I was able to have my daughter at home in the water. My first natural birth was mind blowingly amazing! It was hard work, but those post birth endorphins were out of this world! My fifth pregnancy was also complicated, but I was able to avoid induction. I had my fifth baby naturally in the hospital. I was able to take all the knowledge and power from my previous experiences and have a really joyful birth. My varied experiences have shown me how important childbirth education is. Even during my births that didn’t go as planned, being well ­ informed and supported was key. I want my students to come away from my class confident, knowledgeable, and prepared to meet their baby. What first got you interested in birth work? I was interested in birth after I took natural childbirth classes with my first child, but really began to feel called to birth work after my second was born and I attended a doula training. What are your particular passions concerning birth? I am very passionate about VBAC. In many places, access to VBAC is restricted or banned altogether and I feel strongly that mothers should have the care and support they need to bring their baby into the world in the way they desire. Childbirth education ties into this very closely because a woman’s choices in childbirth are narrowed so much by the primary cesarean. Education can help a woman avoid a cesarean that isn’t necessary and feel confident in her choices if her baby needs to be born by cesarean. There are lots of different birth educator training programs out there. Why did you choose Birth Boot Camp? I discovered Birth Boot Camp through a friend who is also an instructor. She was very enthusiastic about the curriculum and when I went to learn more, I was impressed. The materials are beautiful, the curriculum is up- ­to ­-date and so thorough. I love knowing that my students will come out of my class ready for an amazing natural birth and knowledgeable about anything else that might come up along the way. The preparation for breastfeeding and those early days of bonding with baby is also part of what makes this curriculum so outstanding since that critical period can seem so daunting for new parents. Tell us a little about your Birth Boot Camp training experience. Where did you train? What did you like about it? Training began way before the training workshop! In preparation for training, I read, studied, watched birth related films and got familiar with my local birth community. I then traveled to Dallas, Texas for my training. Donna and Sarah made the very intensive training both interesting and enjoyable. I can’t overstate how impressed I was and am by the care and support they give their instructors and also how the instructors support and help one another. 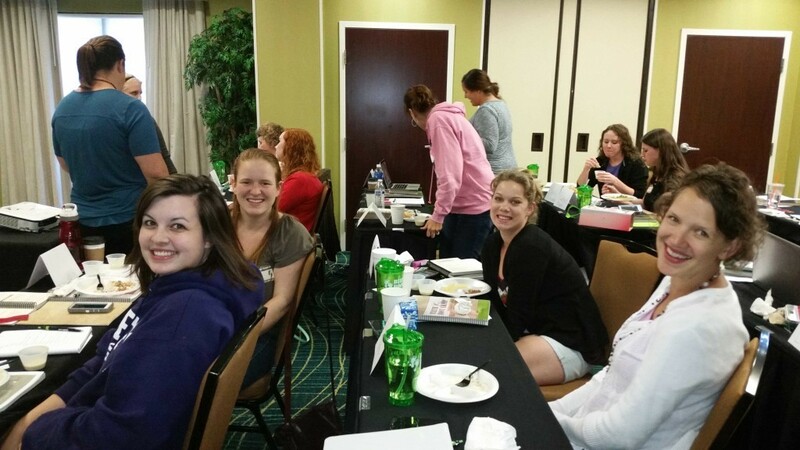 Erin at her childbirth educator training. Erin is in white, on the far right. 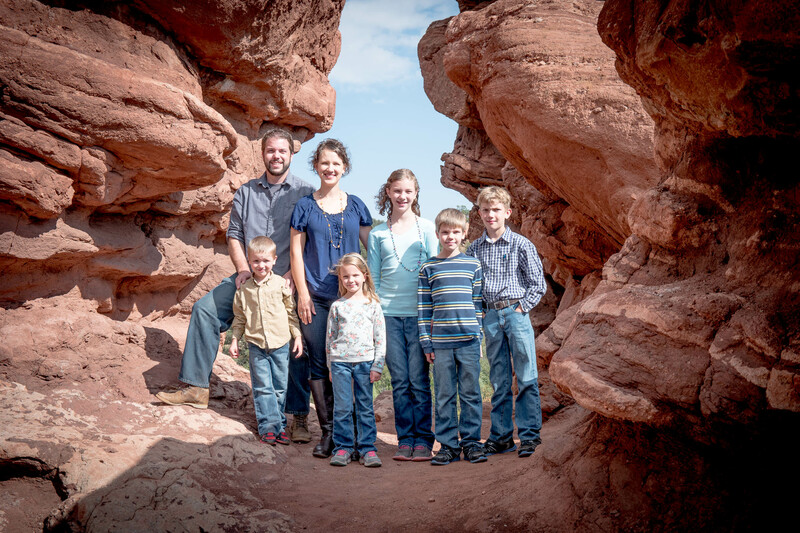 In what ways did the Birth Boot Camp instructor training help prepare you for teaching birth classes in Florissant, CO? In training, we learned all about the curriculum and strategies for teaching. We were introduced to the resources at our disposal that allow us to cover the material while customizing the delivery to our individual classes with their unique situations. To close, tell us how you see natural childbirth education having a positive impact? Why does this work matter to you? I want my students to go into birth knowing their options, confident in the choices they make in conjunction with a care provider they trust, and comfortable in their place of birth. I have experienced first hand how much easier a transition it is into motherhood, for both mother and baby, when Mom feels knowledgeable about what is happening with her body and supported by those she has chosen to be with her. Natural childbirth is not easy, but it is so worth it! This work matters to me because how a mother meets her child for the first time matters. Different mothers have different ideas about what this ideally looks like. This is for every mother, along with her partner, to decide. Childbirth education opens up that dialogue, not only between parents but also between the mother and her care provider. By surrounding themselves with supportive people who respect their educated and informed decisions, they are ready for a birthday for their baby that leaves them feeling empowered and ready for parenthood. I will be teaching birth classes in Florissant, Colorado to those in Teller County and surrounding areas.